Schools board trustees from across Alberta say the government needs to fund new students. For school boards across Alberta, the math is pretty simple. More students equals more funding. Six board chairs, representing 19 boards banded together, made the plea that increased student enrolment must offset by increased funding from the government. "We are asking, desperately asking, that new enrolment for students in Alberta be funded," said Debbie Engel, chair of the Edmonton Catholic school board. 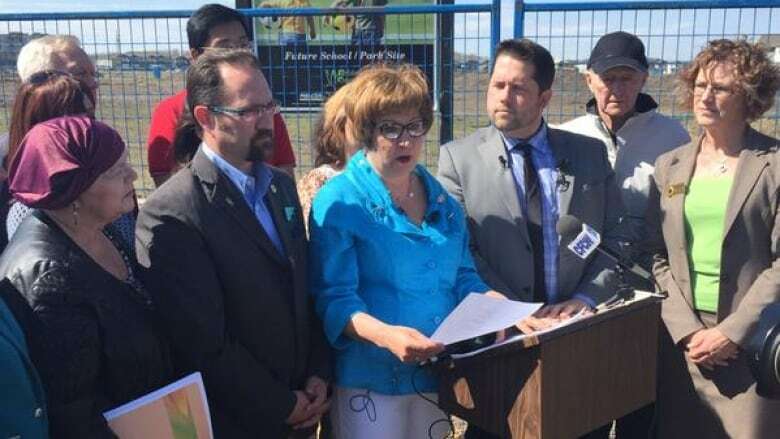 "Student success is at risk, and our most vulnerable students will be impacted the most," Engel said Monday during an announcement at the site of a new Catholic school in Edmonton, Bishop David Motiuk Elementary and Junior High. Earlier this spring, the provincial budget included cuts to education and a decision to not allocate more funding to schools that have increased enrolment, despite a projected 1.9 per cent growth in students for schools across Alberta. The budget did include $74 million over three years to improve educational outcomes for First Nation students. The school boards' rallying cry comes just two weeks before the vote in the provincial election. And although the school board chairs and trustees are not advocating for a particular party, they are encouraging parents and voters to ask candidates about cuts to education. "We just ask them to engage the people who are visiting their doors at this time in a conversation about education," said Engel. The Catholic school board is expecting another 1,849 students next school year, Edmonton public another 3,000. "Look behind us," said Michael Janz, Edmonton public school board chair, as he gestured to the empty field where construction on a new school is set to begin shortly. "We know that the families are coming. We know that the homes are coming, we know the children are coming and our school systems need to be prepared and staffed so we can properly accommodate and provide for these students. " The school board chairs and trustees are warning that all students will be affected, as class sizes will grow and there will be fewer staff and resources. 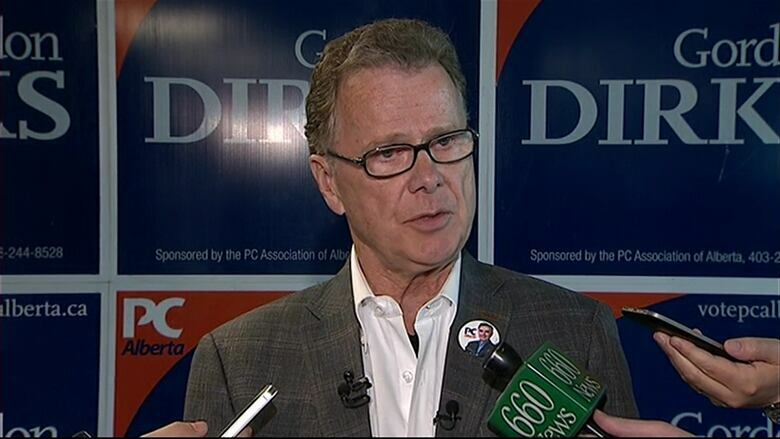 The Tories were quick to rebut the school trustee's announcement, releasing their own statement and holding a press conference within an hour of the school boards'. "These are school boards, not school banks," said Education Minister Gordon Dirks, adding that the boards have a combined total of more than $460 million in reserve funds to draw on. He used the Calgary school board as an example, saying it ran a surplus of almost $10 million last year. "I've been clear all along that school boards will be permitted to use their reserve funds if needed to meet front-line service needs in the coming fiscal year while they find savings in non-teacher costs — that is what this money is there for," he said. In a memo sent to school boards earlier this month, Dirks said the use of the funds must first be approved by him and that all requests must be submitted by May 31, 2015. The trustees have won support from a non-partisan group called Support Our Students or SOS Alberta. They released this video last week protesting cuts to education.